It’s promised to boost local employment by 400 by 2018 and now the Pakenham East rail depot is also delivering jobs to other areas in need. 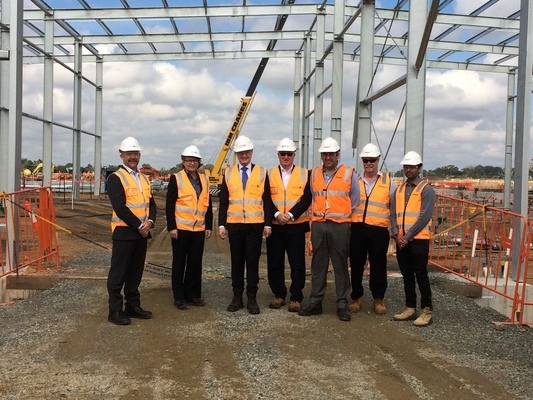 Works are well underway at Oakview Lane’s 118-hectare state-of the-art train depot, which will be up and running by early 2019 to maintain the State Government’s new fleet of high-capacity metro trains (HCMTs). 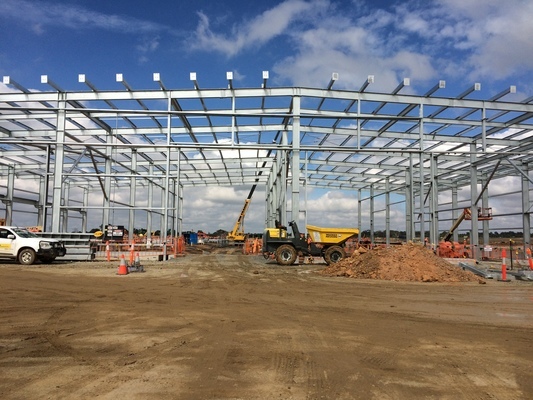 Featuring maintenance facilities, a driver training centre, a train simulator and storage for up to 30 trains, the $280 million factory is being spruiked as a major boon to the local economy, with the site being built with 87 per cent local content by a 400-strong team made up of at least 60 per cent locals. 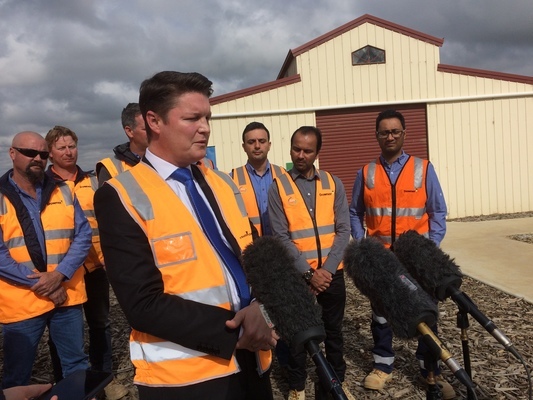 And during a visit to the site on Tuesday, Industry and Employment Minister Ben Carroll announced Pakenham wasn’t the only region to benefit from the facility. The minister revealed Hallam-based company Ultimate (Australia) Transportation Equipment had been contracted to supply and assemble the train’s seats, rails and other interior fittings, securing 21 local jobs. A manufacturing plant will also be built in Morwell in Gippsland’s Latrobe Valley to build the traction and electrical auxiliary power systems for the trains. Mr Carroll said this work would create 23 new jobs in Morwell and seven elsewhere in Victoria, including six positions for apprentices or trainees, and three roles for workers from disadvantaged backgrounds. “Our bigger, better, next-generation trains will move more people and create 1100 jobs across the state,” Mr Carroll said. The HCMT trains, with 20 per cent extra capacity, will be rolled out from early 2019, commencing with the Pakenham Cranbourne line. The project has raised concerns locally that the already congested Pakenham-Cranbourne line would be further impacted with the additional trains. Residents and local politicians have called for an upgrade to cope with the heavier trains but the State Government is yet to commit. “We’re constantly monitoring what we need to do on all our lines across the state, whether it be the Pakenham line,” Mr Carroll said. Publicity video highlights jobs benefit. Previous articleAll over in eight overs!